Leonid Kruglyak, a UCLA professor of human genetics and biological chemistry at the David Geffen School of Medicine at UCLA, has been awarded the 2016 Edward Novitski Prize for his pioneering body of work in genetics. The Novitski Prize is awarded annually by the Genetics Society of America in recognition of either a single experimental accomplishment or body of work that represents “an extraordinary level of creativity and intellectual ingenuity in the solution of significant problems in genetics research.” Kruglyak’s contributions to the fields of linkage genetics, populations genetics and genomics have drawn upon a combination of mathematical, computational and experimental approaches, and continue to advance the scientific community’s understanding of the human genome. 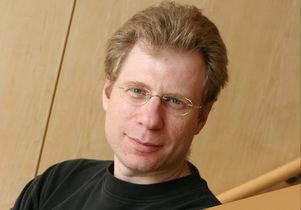 Kruglyak is a founding member of UCLA’s Computational Biosciences Institute and a Howard Hughes Medical Institute investigator. Other notable awards he has received include the Burroughs Wellcome Fund Innovation Award in Functional Genomics (2000), a MERIT award from the National Institutes of Health (2002), the Agilent Thought Leader Award (2010) and the Curt Stern Award from the American Society of Human Genetics (2015).